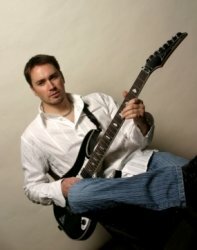 I am a Private Guitar Teacher with a Degree in Music and I work in a Rock/Blues band. I also run a Recording Studio Service. My fees are actually £20 for 30mins up to 45mins lessons upon ability to get through necessary material. 25yrs in Schools, Colleges and Privately for both weekly casual playing and RGT exams. Lessons are 1-2-1 on a weekly basis and focused for each individuals needs and appropriate learning style in a friendly manner within a purpose built home teaching/recording studio. I teach Acoustic / Classical / Electric / Bass guitars. I host exams with the RGT at my Studio and also offer Theory Tuition.